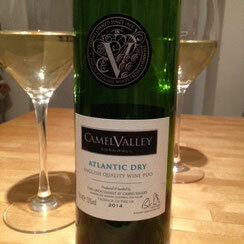 Max reviews: Atlantic Dry, 2014, Camel Valley from Cornwall. It's a blend of 60% bacchus, 20% reichensteiner (you may want to research these grapes) and 20% chardonnay. Sorry I haven’t posted for a while but I was in Cornwall for 2 weeks. Although I wasn't looking for wines whilst there, on a visit to a fabulous local farm shop, surprisingly, to me at least, I came across a great range of local wines. Now, Cornwall is not generally well known as a wine production area but Camel Valley Vineyard has been producing award winning wines since 1989, and in 2005 won the International Wine Challenge Gold Medal for their 'Cornwall' sparkling wine. Here are my comments on one of their dry white wines. The Atlantic Dry 2014 is a blend of 60% bacchus, 20% reichensteiner (you may want to research these grapes) and 20% chardonnay. I enjoyed this bottle with a French friend and we both agreed: it has a pale brilliant colour which reflects its cool climate’s origin; and whilst the nose wasn’t intense it was fresh with nice citrus, white flower and a hint of ‘bon-bon anglais’ aromas. The taste matched our expectations from the smell. It’s well balanced, though not complex and the flavour doesn’t linger for long. Great as an aperitif and matches well with light food. 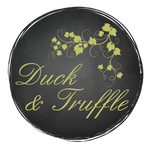 As I have previously experienced, English wines can surprise you with their high quality and the climate is favourable to give the acidity required for sparkling wines, however, overall we find the price to be high compared to similar wines across Europe.